Nathan L. Burrow practices in the area of insurance litigation with an emphasis on premises liability, commercial trucking and workers’ compensation claims. With more than a decade of experience defending insurers and their insureds, Nathan has the knowledge and skill necessary to guide his clients through the litigation process from initial case intake to appeal. Moreover, his skills are not limited to the courtroom. Throughout his career, Nathan has served as an on-site emergency contact for commercial transportation and industrial clients, providing guidance and counsel during the critical early stages of post-accident investigation. Nathan has demonstrated experience in handling premises liability claims through defending retailers, restaurants and casinos in slip-and-fall and inadequate security claims throughout Mississippi and Alabama, including the dismissal of several suits on summary judgment. Additionally, he has experience with commercial trucking claims, having successfully litigated and resolved lawsuits involving semi tractor-trailers, intermodal carriers, waste disposal trucks and other commercial vehicles, as well as provided counsel and onsite investigation to commercial trucking and transportation clients involved in serious accidents. Nathan has also successfully litigated and resolved workers’ compensation claims on behalf of employers and insurance carriers throughout Mississippi and Alabama. He has obtained dismissal of tort claims against employers on the basis of exclusive remedy immunity. Furthermore, Nathan has litigated serious industrial and maritime accident claims involving fires, explosions, vessel allisions, and barge capsizes in state and federal courts. He has provided counsel and onsite investigation for industrial clients following serious accidents and defended claims under OSHA. Nathan excelled academically at the University of Mississippi School of Law, finishing in the top ten of his class. After graduation, he served as a law clerk to Chief U.S. Magistrate Judge John M. Roper of the U.S. District Court for the Southern District of Mississippi, Southern Division. Nathan still draws upon the knowledge and experience gained during his clerkship to help his clients navigate the complexities of federal court litigation. Growing up a long-suffering Saints and Ole Miss Rebels fan, it should come as no surprise that Nathan’s favorite sport is something other than football. He was always drawn to boxing. An old boxing adage goes, “styles make fights.” Nathan believes this is equally true in litigation. An attorney cannot achieve continued success relying on only one skillset. Rather, an effective litigator must be a capable counterpuncher – carefully picking off an opponent’s shots – yet willing to wade into the center of the ring and slug it out when necessary. Nathan has consistently shown the ability to adapt his game plan to meet any challenge. 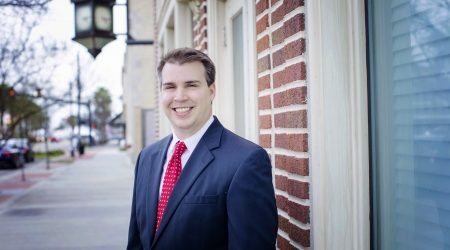 Nathan holds an AV-Preeminent rating from Martindale-Hubbell and is an active member of the Harrison County Bar Association, Jackson County Bar Association, Mobile Bar Association, Mississippi Defense Lawyers Association, and Russell-Blass-Walker Chapter of American Inns of Court. He has been selected as a Mid-South Super Lawyers Rising Star in civil litigation since 2014. He also speaks frequently on the topic of workers’ compensation practice and procedure at continuing education programs throughout Mississippi and Alabama. Nathan resides in Pascagoula, MS with his wife, Laura, and their children, Alice Kate and Landry. He and his family are members of First Presbyterian Church of Pascagoula. University of Mississippi, B. A. University of Mississippi School of Law, J. D.